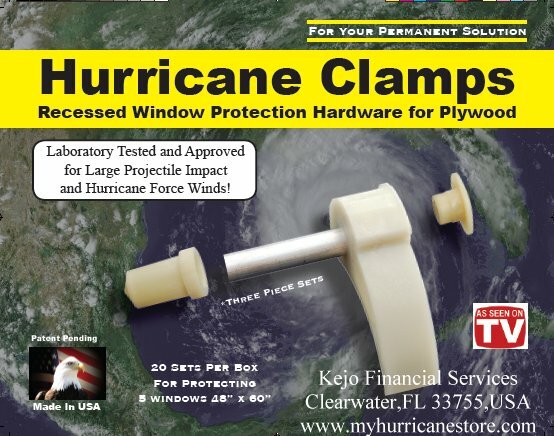 Hurricane Clamps Protect your home. Approved by Florida email for prices. Easy fitting one time to your home then place the boards just before the Hurricane.